The Fitz Roy Scope Lightweight Full-Zip Hoody is made of organic cotton and polyester knit fleece fabric that’s dyed separately before being spun together into yarn, creating an interesting heathered effect; 100% organic cotton is knit into fabric face for extra soft, durable, no-pill exterior. Original artwork is screen-printed using PVC- and phthalate-free inks. Slim, two-panel hood construction preserves warmth. 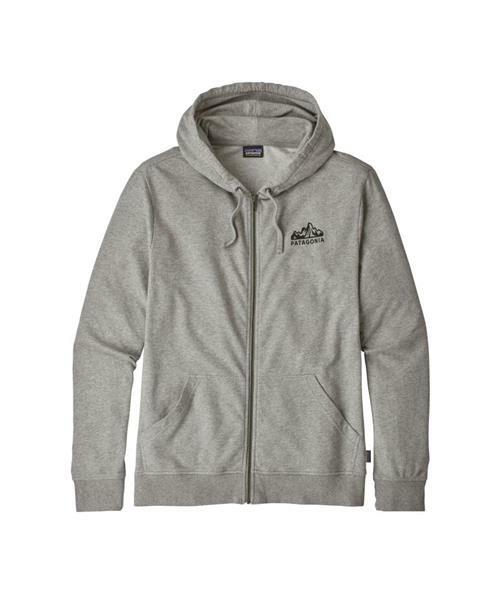 Traditional full-zip hoody style with built-in stretch, a contemporary, slim fit and patch pockets. Fair Trade Certified™ sewn.